Now with Enemy of God, Cornwell's magical re-creation continues. Having defeated the last holdouts of civil war in southern Britain, Arthur has secured Mordred's throne. But he must still face raging conflicts between the old ways and the new, as well as foes more powerful and more dangerous--because they pose as friends. 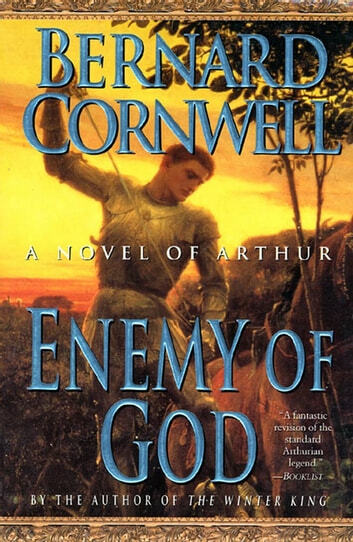 Brilliantly written and peopled with the familiar faces of legend along with new ones, Enemy of God is an immensely powerful continuation of a modern classic. Reading Bernard Cornwell's books about the early days of England are more interesting when some of my ancestors are the characters mentioned.